Fire safety legislation states that fire extinguisher servicing should be carried out at least once a year. 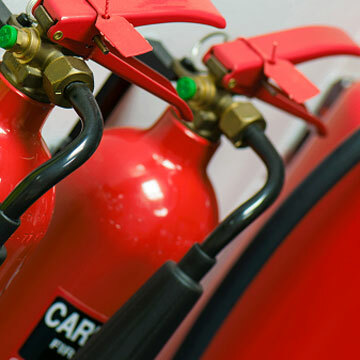 Pegasus Fire and Security, a division of Fifteen Group Limited, service all makes of extinguisher to BS5306 and offer a full range of inspections and services to ensure that your property or premises are protected by fully operational fire extinguishers. Some electrical safety defects can only be found by portable appliance testing (PAT). Together with visual examination, we ensure appliances are fully safe to use. All tests are carried out by our City and Guilds technician and results can be received through a digital or hard copy. Safety and security to your business is just one step away.